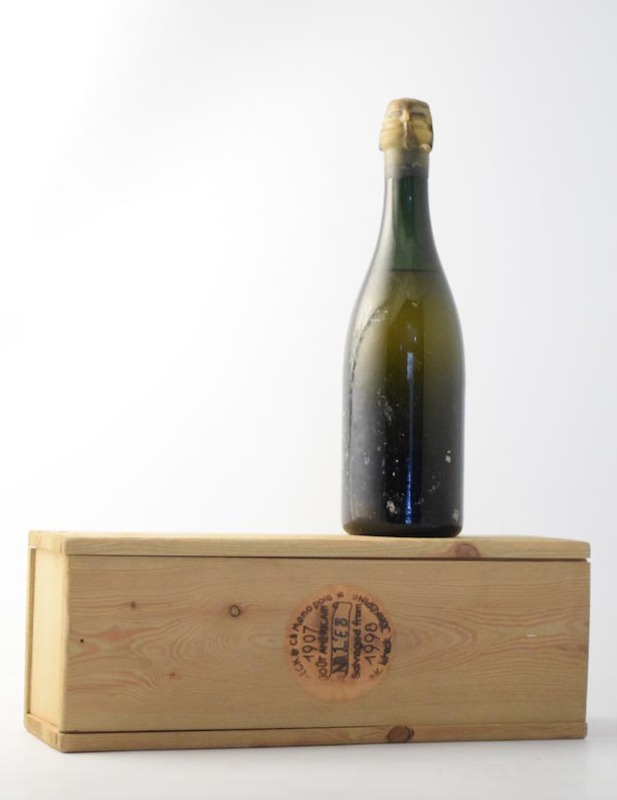 A bottle of vintage champagne rescued from the bottom of the ocean after 80 years will be offered for sale at Bonhams next week. 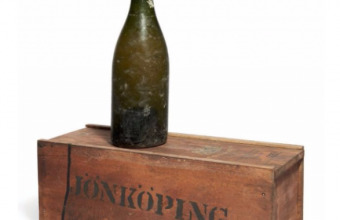 The Fine Wine sale in London will offer the bottle of Heidsieck & Co Monopole 1907 Goût Américan Champagne, which disappeared to the bottom of the Baltic Sea during WWI. It was originally part of a consignment of Champagne, Cognac and wine on its way to Finland from Sweden aboard the Jönköping, a small Swedish schooner. However, the ship also had another, more important cargo – steel – and it was this shipment of valuable wartime materials that aroused the suspicions of a German U-Boat, who ordered the crew to disembark before sinking the Jönköping, to prevent the steel falling into the hands of the Allies. The cargo was dispatched to the ocean floor, where it remained until being discovered during a salvage operation in 1998. 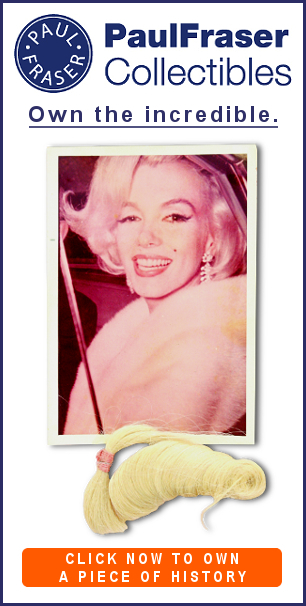 This bottle was one of around 2,000 recovered, and according to experts it remains in perfectly drinkable condition. It will now be offered as part of a large private Scandinavian collection of Champagne, with an estimate of £1,000-£1,500 ($1,400-$2,110). "It’s very exciting to be able to offer such a prestigious collection of champagne which has a breadth and depth that I have rarely seen," said Richard Harvey, Master of Wine and the Head of Bonhams Wine Department. 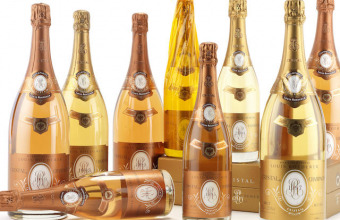 Further highlights from the collection include Louis Roederer Cristal Brut and Rosé vintages from 1976 to 2006; a wide range of vintages and formats of Bollinger La Grande Année; and notable bottles from Moët & Chandon, Dom Perignon, Krug and Pol Roger. "Many of the wines seldom appear at auction – for example Billecart-Salmon, Cuvee Nicolas François Billecart, vintages 1985 to 1998, Cuvée William Deutz, Philiponnat Clos de Goisses and many smaller growers. Among the gems on offer I’d include such rarities as a magnum of Veuve Clicquot 1952 (£400-480) and a bottle of Pol Roger 1953 (£300-400) as well as wide selection of cuvées from Jacques Selosse which have more recently come to prominence." 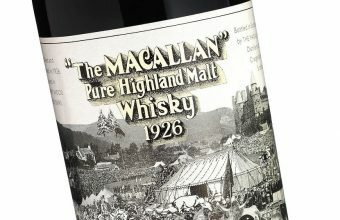 The Bonhams Fine Wine sale takes place on April 14.